State of Indiana in 1995. Indiana General Assembly in honor of their undefeated State Championship Season. 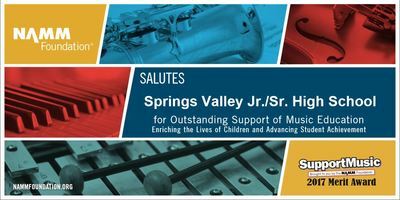 Nine Blackhawk Brigade Alumni have received degrees in Music Education and are have been music educators in the State of Indiana. 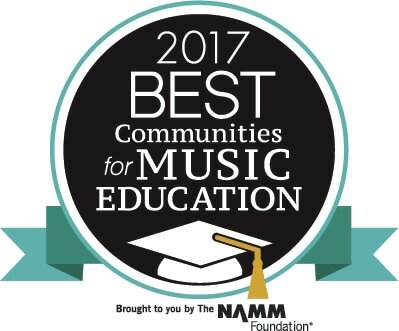 Received the prestigious NAMM Foundation “Best Communities for Music Education” designation in 2012, 2014, 2015, 2017, and 2018. 2014 WHAS11 Band of the Week Champion – Performed at the KFC YUM Center on Great Day Live! 2017 Music in the Parks/Kings Island 1st Place High School Concert Band & Overall All Best Band Award.